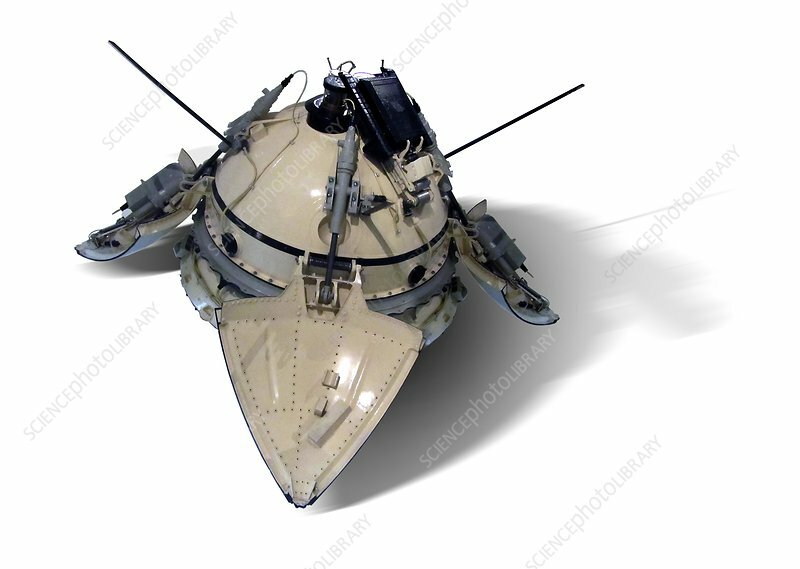 Mars 3 space probe, artwork. Mars 3 was part of a series of unmanned space probes launched by the Soviet Union in the 1970s. It was the first spacecraft to achieve a controlled landing on Mars' surface. The primary purpose of the Mars 3 mission was to study the topography and soil composition of Mars' surface.